A few years ago, Mezco got 3 3/4-inch religion. It didn't last, but we did get some cool horror figures and this swell Hellboy as part of their brief dalliance in this scale. Mezco, no stranger to convention exclusives, cranked out this one for San Diego Comic-Con in 2008. Why is it cool? 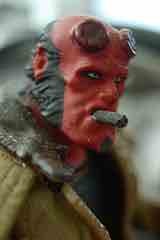 Well, the coat hangs well, he's smoking a cigar, and he's just the right size to stand around your other toys. The bad thing is that this is pretty fragile, and the holster will likely come off if you try to get the gun out. So be careful there. 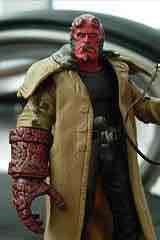 With decent articulation, this 3 3/4-inch scale release is probably the only Hellboy you'll ever need in this scale. 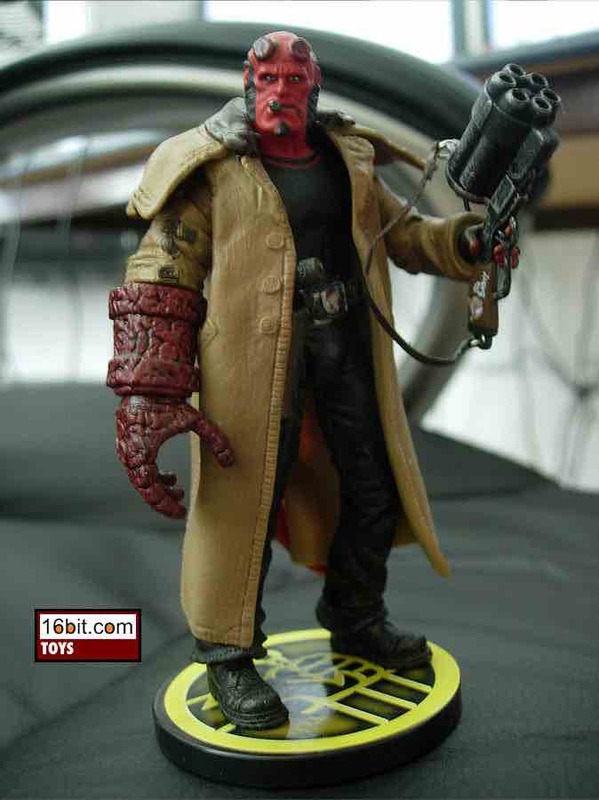 I like it, and after getting mine I think this figure scratched my Hellboy itch nicely-- short of comic-style figures in this scale, I can't think of much else to do with the character. 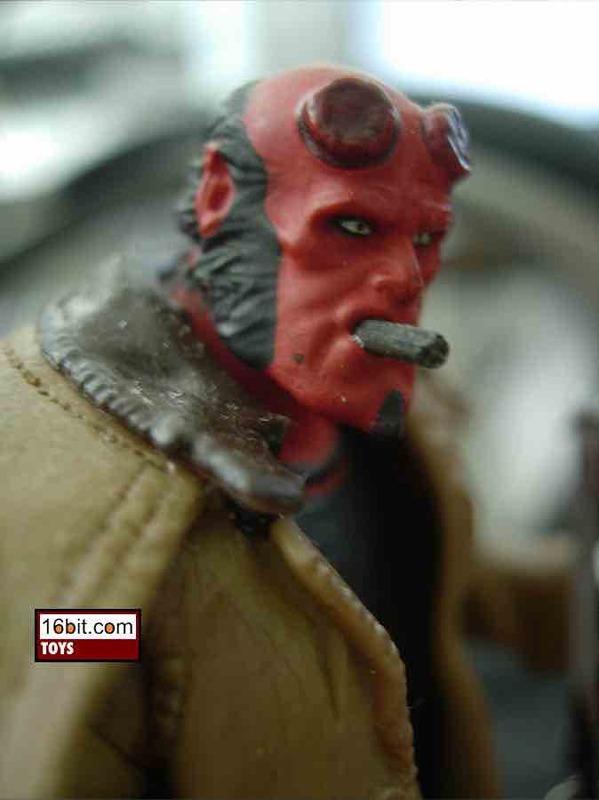 Mezco made some of the better-looking figures at this scale, and Hellboy is certainly one of the more gorgeous figures that didn't come out of Hasbro. The detail is quite good, particularly the added articulation in the Right Hand of Doom, but it does need to be handled with care. If you get one to open, I suggest keeping it near your bookshelves or something. Despite some wonderful engineering, it's not designed to take a lot of touching the way LEGO or Hasbro figures are.